Spedals is a perfect stop for those who love to move around and find the gym monotonous. If you need an instructor, telling you what to do and motivating you, try the spinning and aerobic classes. Spinning is said to have an increased impact of burning up to 700 calories per session, while aerobics will have you moving to your favourite tunes without noticing that calorie burn. You have a goal, and you have the will – congratulations! Now if you are looking for the resources, Snap Fitness has all the gym equipment you require to build muscle and lose fat. From treadmills, to ellipticals and weights, the trainers will help you create a week long workout along with the intensities. The word ‘unlimited’ just brings joy to money well spent. And here, you have no excuse to give your fitness goals your everything. A fitness studio with a focus on group exercises, shake, shimmy and punch your calories away with their busy weekly schedule of activities — from Zumba to Bolly-fitness routines that make you groove to your favourite desi-beats. Just sign-up once, and join any class you like. For everything under one roof, Pluto Fitness is where a full-fledged gym infrastructure meets yoga sessions. Give yourself a high intensity strength training one day and then treat yourself to a fun dancercise session the next. It is truly a great option for the one who wants it all. If you are running against time, and need to shape up before a big event, then turn to the folks at Fitness One. A gym equipped with circuit training facilities and cardio stations, enroll in one their many programs to get fit the right way. The personalised package comes with customised workouts, goal planning and diet charts. 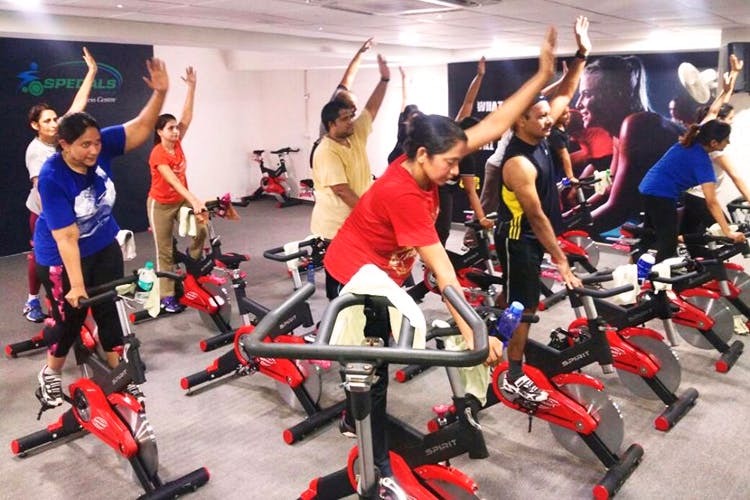 A space that has seen the Indian Cricket team flexing their muscles, Figurine Fitness has stood the test of time in offering a world-class fitness environment with special programs to get you to your goal weight. Running regular batches of dance, Zumba, pilates and aerobics – there is plenty to choose from, to keep you from a fitness rut. Adding to the gym and group exercises facilities is CrossFit — the bad boy of all exercise routines. But not at super high rates. This gym is affordable luxury, really. After your strenuous workout, you can even reward your aching muscles with a pampering session of steam or sauna. This all-girl gym’s motto is “No Cookie Cutter Shapes”, and that is what we like to hear when it comes to fitness. Too often, we are aspiring at what looks good, but here it is all about feeling good. A gym, just for women, choose from plenty of programs that run through the week targeting strength, cardio and toning. Price: INR 350 upwards per session. If you love things all Pilates, The Zone Studio is for you. Sign up for their monthly group classes as you work from your core on their specially designed Pilates machines. Completely affordable, this will get you toned and in shape. And better still, it’ll neatly fit in to your lifestyle. A completely equipped gym circuit will take care of your strength and cardio needs. Perfect for solo time, you can just zone out of the real world, throw on your playlist and hit up the gym studio to work those muscles. When you want to check in with the world, head off to their once-a-week group classes.